Jonathan Penson is the Norwegian Refugee Council Regional Education Adviser for East Africa and Yemen. 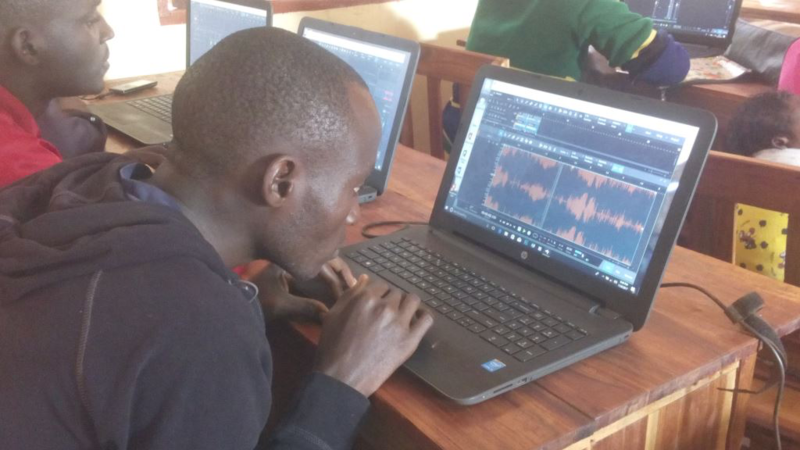 We recently learned about his experience with the Mtendeli refugee camp in Tanzania, where a youth music program is using Studio One Prime to teach digital music skills to young Burundian refugees. 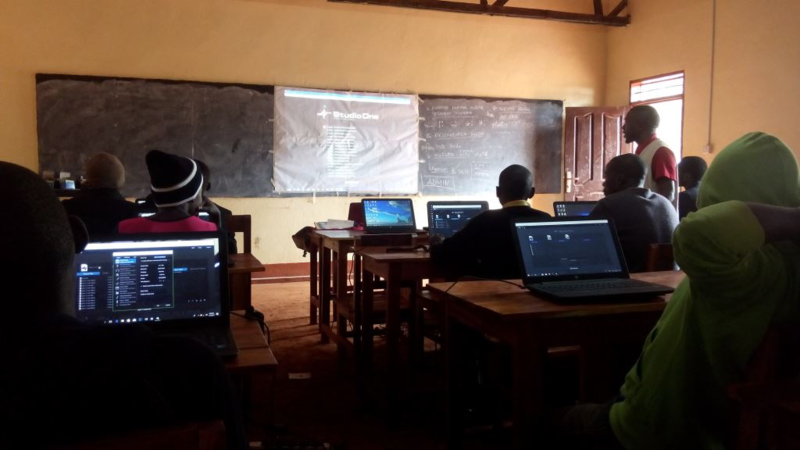 Jonathan was able to spend some time with us to answer some questions about Mtendeli, its beneficiaries, and the students involved in this incredible story. First of all, for readers not familiar with the situation affecting the youth in your program, please tell us how Music for Mtendeli came to be. Mtendeli refugee camp in western Tanzania hosts close to forty thousand refugees fleeing political violence in Burundi. A high proportion of the refugees are youth. But, without the opportunity to work or leave the camp, there is very little to do, and frustrations run high. In addition, many youths experienced traumatic events in their home country. So we started a music project as part of a creative arts program, with the aim of providing a positive outlet for youths’ energies, and music therapy. The Norwegian Refugee Council started the youth center in the camp in 2017. 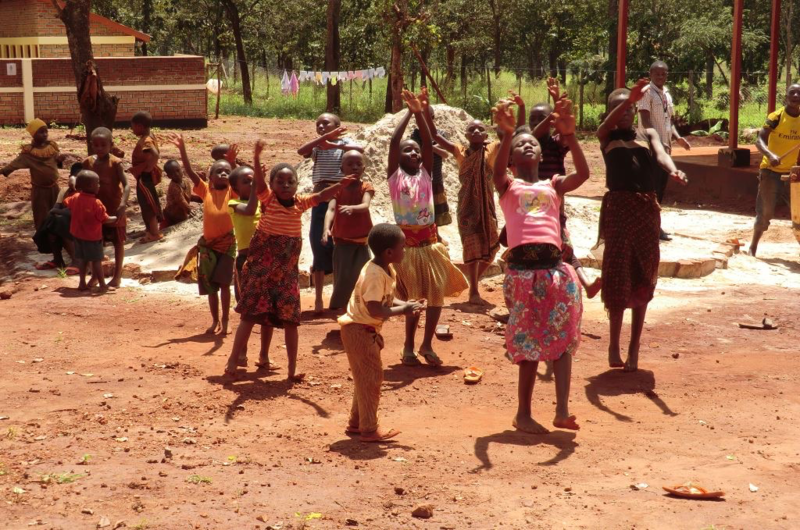 We run the creative arts program alongside vocational skills training and literacy and numeracy classes. We train youth in the creative use of ICT, as well as for business, and the youth organize clubs for music, theatre, and modern and traditional dance. We are hoping to start photography courses. 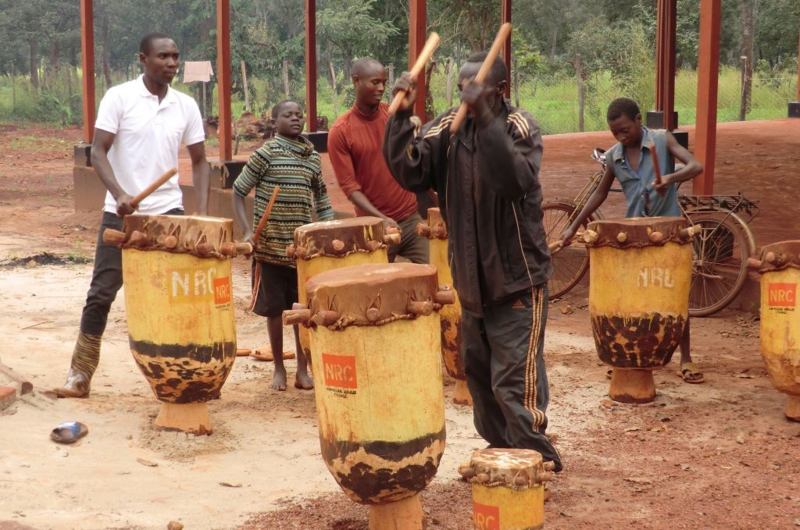 The music program combines traditional skills such as drumming – for which Burundians are famed – with cutting-edge technology. We want to nurture refugee youths’ talents, and the plan is to start a modest music studio that will help them to record and share their music. How many of the youth are involved in the Digital Music program? How many staff? How long has the program been running? More than 200 youths have benefited from the program since it began last year. This includes music students using virtual instruments and those who have learned to use DAW software to produce and edit music. 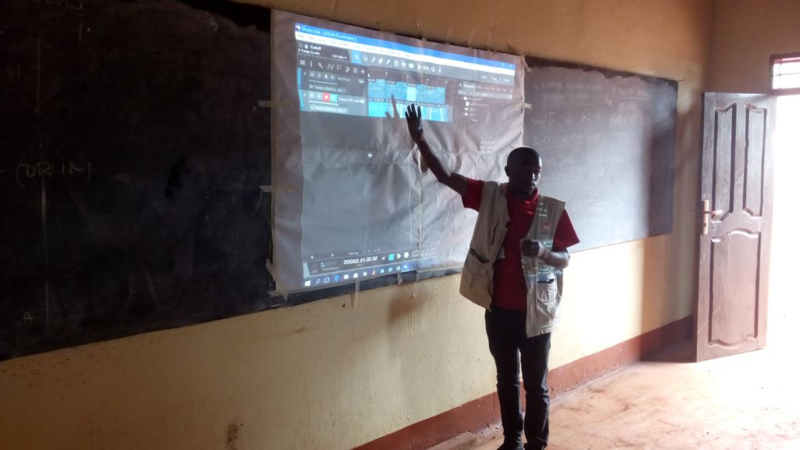 We have one ICT instructor, Deo, who has a keen interest in digital music production. What styles of music are the most popular for them to produce and record? We find there are two distinct music ‘camps’ with the camp: gospel and non-gospel. In the non-gospel camp, R ‘n’ B and hip-hop are very popular, but you will also hear a lot of popular African artists, especially from Congo. Is there any cross-pollination between the programs at Mtendeli? For example, do the music students produce music for the dance program? There is direct cross-pollination between the producers and dancers, with the modern dance club using some music from the music class. They also use popular music downloaded from the Internet and other sources. We would love to hear some of the music that has come from the program if you can send us links or files! Can you? What opportunities are there for our readers to support the program? Is there anything else you would like our readers to know? We asked this to the dancers and music students in Mtendeli. They’d love to produce professional-sounding music and share it, but they need more musical equipment and facilities before they can really get going. They’d also like more teaching staff, and a more comprehensive DAW–they’re currently using the free version of PreSonus Studio One. All we have at the moment is the laptops, the DAW, the space–and the energy, creativity and enthusiasm of 200 young people! But this isn’t about the fundraising – it’s about fulfilling people’s potential, raising awareness about refugees, and linking musicians. In time, we’d like a platform for showcasing our youths’ talents–so if any readers can support that, get in touch! 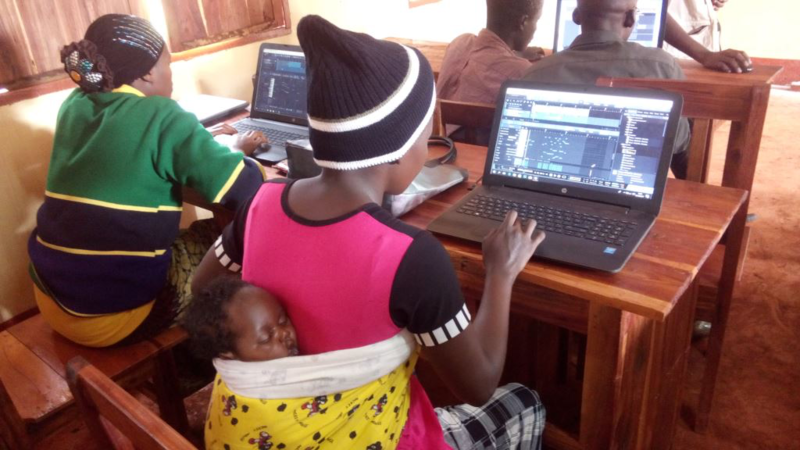 Click here to donate to Music for Mtendeli!